Liverpool haven’t been shy about spending big when they need to of late—but even in the modern era, not every deal has to be worth tens of millions. Astronomical transfer fees are nothing new in the Premier League, but even so the rate of inflation seems to be on the increase. From Naby Keita to Virgil van Dijk, the modern Liverpool team has plenty of expensive additions throughout the squad, yet the scouts and managerial hierarchy can still spot a bargain or two. We’ve taken a look through every Reds transfer from the Premier League era and bring you a run-down of the biggest bargains—and Jurgen Klopp‘s current side is well-represented. While it’s fair to suggest that even Van Dijk’s £75 million fee has been proven more than worthwhile, here we’re looking solely at those classified as a bargain in terms of the initial fee being a low one: £10 million or less, in fact. Way back in 1997/98, the Reds snared 20-year-old midfielder Murphy from the lower leagues and, though he took time to establish himself, he eventually proved a huge bargain. Playing just one game shy of 250 in total for the Reds, Murphy became a set-piece specialist and had a penchant for spectacular goals—particularly against rival clubs. He was part of the treble-winning side in 2001 and left for Charlton after Gerard Houllier departed. When Rafa Benitez signed full-back Arbeloa midway through the 06/07 season, few had heard of him. One debut man-marking Lionel Messi out of the game later, it was clear he was an extremely astute defender. Tenacious, reliable and extremely well-drilled, Arbeloa was a key member of the Reds’ team which went so close to league and European glory in the heyday of Benitez’s reign. Another part of the treble-winning side and another free transfer—and Markus Babbel would surely rank far higher here had he not been restricted to a single season of meaningful action. The German international was an unstoppable force at right-back, scoring at one end and tackling at the other to great effect. A virus laid him low for the whole of the following season and he never recovered form or fitness at the highest level. It seemed at the time as though £6 million was a lot to pay for a goalkeeper, particularly after the Reds had just won the Champions League with Jerzy Dudek producing heroics. Safe to say, nobody was complaining after a few months of watching Pepe Reina between the sticks at Anfield. 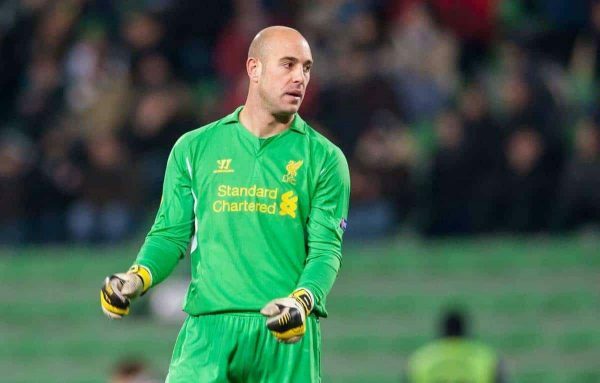 Reina played almost 400 times for Liverpool and was a master both at keeping clean sheets and at utilising the ball at his feet, paving the way for a new era of goalkeeper appreciation at the club. Benitez had to get creative at times in the transfer market, particularly mid-season, and Maxi was a great example of getting it right in those circumstances. His ability to score and create from the flanks was key for the Reds, both under Benitez and, later, under Kenny Dalglish. Hat-tricks against Birmingham and Fulham were a highlight and he scored 17 times in 73 games for the Reds. Even Gary McAllister described the move as “fairy tale stuff” when it came about, being 35 years of age as signed from Coventry by Houllier. He was a perfect midfield maestro in a team of young heads, though, and after patiently playing a support role early on he was a critical part of the treble-winning side in 2001. Key goals against the likes of Everton and Barcelona were wildly celebrated and in just two seasons at the club he became a hero. Who knows how much higher up this list Gomez could go, but if the signs from the first half of the current campaign are anything to go by, the sky is his limit. A composed and technically excellent defender, only injuries have so far held him back from achieving even more so far. 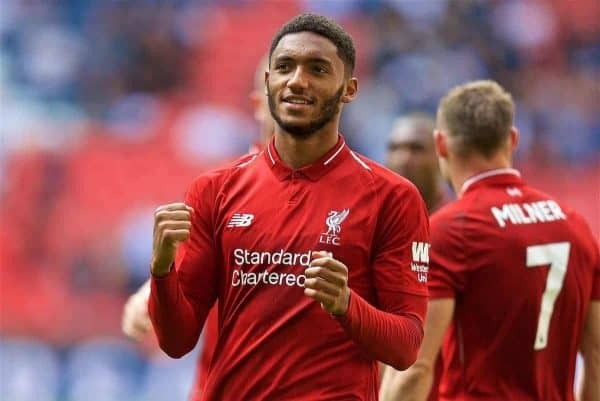 As a centre-back he’ll surely go on to provide a lasting partnership for the Reds to build from and it would be a huge surprise if he wasn’t, one day, seen as one of the best centre-backs in Reds’ history. Ahead of Gomez so far thanks to the length of time he has contributed in the first team, Robertson was doubted by some upon his arrival—but has proven everybody wrong. Indeed, he’s now only spoken about in terms of if there are any left-backs in the Premier League better, more consistent or more-suited to the Reds than he is. 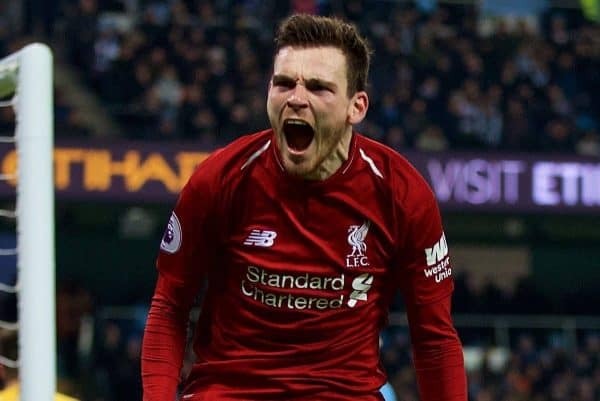 An excellent crosser, a ferocious competitor and a national team captain, Robertson is well on his way to iconic Anfield status. Signed for about the same price as Andy Robertson—and sold for what could be up to £140 million; fair to say, Coutinho’s career really took off when he joined the Reds. 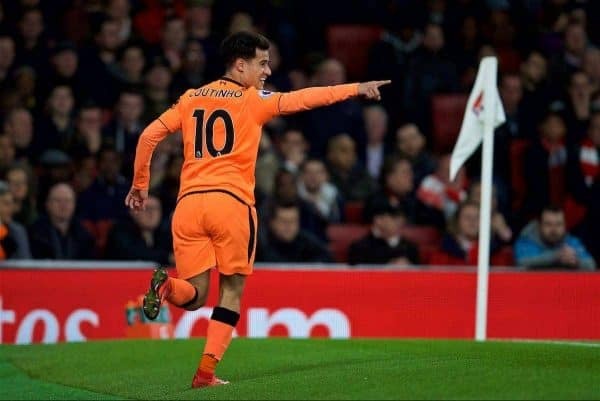 The Brazilian schemer joined in January of the 12/13 season and only left a year ago, delighting the Anfield faithful along the way with a series of majestic displays and virtuoso goals. His departure to Barcelona might have left a sour taste, but there’s no question of what a bargain he was in the five years between being signed and sold. The grand-daddy of all bargains, at Liverpool and further afield. Gomez, Robertson and anybody else still have some way to go to be labelled No. 1, thanks to the snip of a fee put on Sami Hyypia’s elegant head when he joined in 99/00. 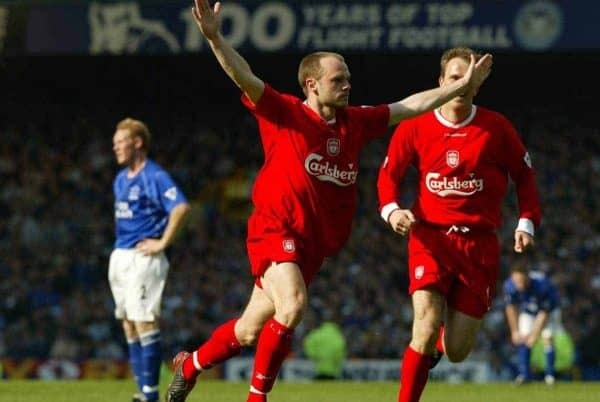 A monstrous 464 games in the Liverpool shirt, winning the Champions League along the way and skippering the side on many occasions make Hyypia the gold standard when it comes to Premier League bargains. 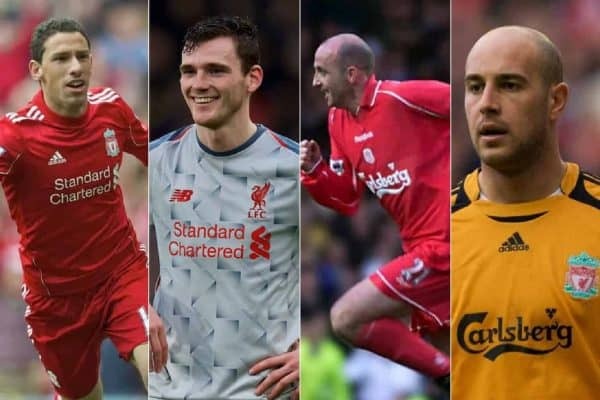 The Reds have had more than their share of big successes for little fees in the market, so here are a few more in chronological order who didn’t quite make the cut!